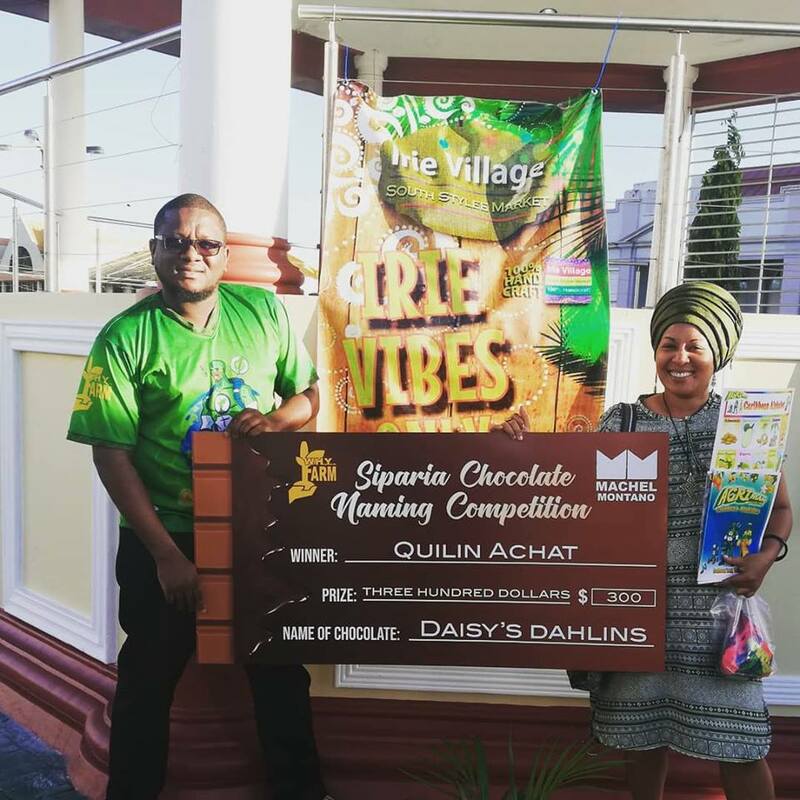 It was a indeed a surprise 😲for her as we tracked her down on the OLPH, Harris Promenade, San Fernando conducting her regular IRIE Village – South Stylee Market with the theme Irie Christmas. On behalf of Machel Montano Foundation for Greatness and WHYFARM, we thank everyone who participated in the competition. We thank the judges for taking time out their busy schedules to make a fair judging and we thank Siparia for allowing us to engage in this activity in our CommUnity. Look out for the Daisy’s Dahlins 70%/60% dark chocolate bar on a shelf near you.